Week wise, I'm happy with the news that has been available, but even happier at the amount of posts I have done so far. I feel like I have accomplished something in a way xD I finally updated with a post I wanted to write so long ago, but never got around to it until recently. So, that's that~ It's been a so-so week news wise, but I found some great pieces which I really liked, as well as a good week in terms of actually posting, or at least good for me. Honestly, I love ads! They can mean something different if you don't look at it closely. But yeah, UFA have a new way of selling their Idols' image! Holy cow! Okay, let's get into the poll question for this week! This weeks Question is: Who is your favourite AKB48 Senbatsu member? As I am now doing a 3 day challenge concerning AKB48, I thought that this would be a good question to ask, as everyone has a different member that they like. I would also like to see who will be the senbatsu of this poll, woohoo! (EDIT) This weeks Satoyama Life is definitely one of the best I have seen so far, as it shows footage from Hello! Project's summer concert. Also, this has to be the episode everyone has been waiting for, as it contains footage from Morning Musume's 11th generation auditions. A lot of hype went into the fact that this episode contained a two minute clip showing off some girls singing or dancing, and admittedly, all of the girls sounded quite good... but, it's most likely a ploy from the editors to get everyone excited, as remember everyone... there is a chance that these girls haven't passed! So far, this is only a taster, and we don't know just how many girls auditioned, or how many passed even. Anyway, I'm not going to excite myself over these auditions until training camp footage, or at least more than two minutes of video, is released. Anyways, it's a good episode of Satoyama life, and allows us to see this new Hello! Project in all its glory! A radio rip for Morning Musume's up-coming album song, Be Alive! has been released for everyone to listen to! So listen! Be Alive! is a ballad, I guess, and a very sweet song which is nice to listen to. I like that Morning Musume now have a low and gentle song under their belts, because whilst they have other songs that are slow, I don't think that we have had a much-needed ballad in a while. The new MoMusu fit this gentle and serene song well, and it makes me happy when I listen to it. The girls all sound absolutely amazing, even Riho in all her ear-grating glory, and Reina is, of course, quite spectacular here. It's a very pretty song, and well worth the listen if you want to get an idea of this new Morning Musume and how they sound right now. It's a great song, and is heavy on group parts as opposed to solo parts. Recently the front cover was released for Riho's second photobook, so soon enough, the title would come along for her solo DVD and the cover as well. Well, we have the title, and after reading it, I thought that it was really cute and extremely fitting of Riho, because she seems to be the sort of person who would say something cute like that. Hopefully, the solo DVD itself will be cute and everyone will look forward to watching it! A preview, or a short PV, for AAA's MV I$M has been uploaded to Avex Network's youtube channel to give us a sneak peak at the official music video for one of AAA's album songs from 777 ~Triple Seven~! I decided to randomly search for AAA's track listing for their new album, as it was released on the 22nd of this month, and was surprised to see a good amount of MV's available with this release, including an MV for one of the album songs. Looking at it, the video seems to be poker based and pretty cool, and extremely heavy on effects more than anything. Regardless, this preview gives us a glimpse at what to expect, and it looks good so far! I am looking forward to this MV when it is eventually leaked onto the internet or released, because it seems interesting and I like the poker concept. 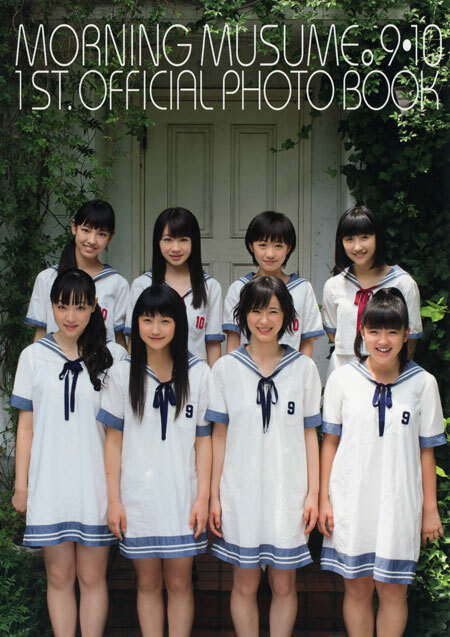 The cover to Morning Musume's 9th and 10th generations first official photobook has been released! The cover, in my opinion is pretty boring and far too formed. I'm the sort of person who prefers PV covers to be natural, or to look glamorous... or something. Anyway, I really wish there was some sort of movement going on in the image, though Zukkini and Eripon's smile are the best in this picture. The girls look cute (Zukkini and Eripon) but the others look bored. Haruna looks happy, and Riho... well, she looks smug. Come on girls, give me happiness! Riho... EMOTION PLEASE! You too, Fukupon. Smugness and pretty faces don't get you everywhere, sweethearts. Idol duo YuiKaori will be releasing their sixth single, titled Ueikatsu!! (Wake Up!!) on October 31st this year. There will be a regular and limited edition available. The Limited edition will include the music video for the title song. This is the news I have really been waiting for; YuiKaori's next single release. I really like how these two girls sound together, and they have great chemistry, so I'm excited for their next single release! The title sounds like the song itself will be refreshing, however seeing as it will be released on Halloween, I am expecting something thrilling as well. 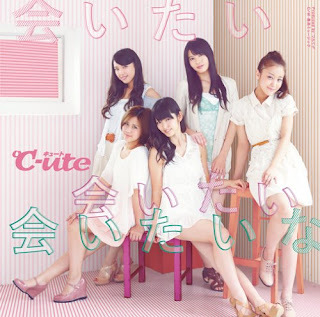 A radio rip for C-ute's Saikou Music has been uploaded to youtube for everyone to listen to! Saikou Music is one of two of C-ute's B-sides for their up-coming single, Aitai Aitai Aitai na. It is available on the Limited B, C and D singles and is an up-beat and energetic song which really fits the image of C-ute, and is a nice contrast to their A-side song. I was surprised by how up-beat and happy this song was, but I really enjoy the sound of this song, and I am impressed with all of the girls' vocals, especially Nakky's. They all sound great, and I love the energy and happiness this song has. It's a nice beat which reminds me of the old C-ute before they began to produce more mature music. It's a song which is just really nice to listen to, and really carefree. I encourage everyone to listen to the song, because of how fun and cute it really is. AAA have announced that they will be holding an event in Taiwan on October 5th. The news was revealed during the groups release event for their latest album, AAA ~777~ which was held on August 23rd at Lalaport Toyosu in Tokyo. This is great news for AAA fans, as it means more exposure in other countries for this group. A s a new fan to AAA, I am extremely happy for them because it means that they can present themselves to a new crowd and show off their talents and hopefully gain even more popularity in Taiwan. Hopefully there will be a full crowd, and when the event comes around, hopefully a few clips will be uploaded online for the fans to see! Ishida Ayumi and Kudo Haruka will both be taking a break from Morning Musume activities due to injuries. 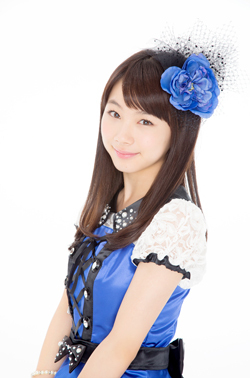 Ayumi has sprained her ankle, and has been told that it will take one month for her ankle to completely recover. Regarding Kudo's condition, she is undergoing detailed examination, and may have a meniscal tear. When I heard this news I was really sad - I don't wish any hurt upon any MM member, and for two of the stronger singers and dancers in the group to hurt themselves and halt activities is something that every fan dreads to read about. I was aware of Ayumi's condition before the news about Haruka leaked out, and I was already sad and hoping for Ayumi's recovery, and it's the same case for Haruka now. Even though I like Haruka more, I equally want both of these girls to recover soon and begin activities once again, because they are key members to Morning Musume and I am pretty sure that everyone is worried about them. Girl group 9nine have announced that they will be providing the ending theme for a new anime series titled Tonari no Kaibutsu-kun which will begin airing on October 1st. The song will be released as a single sometime in December, just one month after their single Yi Er! Jiang Shi feat. Hao Hao! Jiang Shi Girl! hits the stores. 9nine seem to be getting busier by the day! With two new singles coming out a month apart, as well as a Christmas one-man live and drama's, shows or radio that the girls get to take part in, these girls are really making a name for themselves in the Idol industry with the image that they have now! I find it amazing how 9nine have come so far after the change in lineup, about the same time I started to take a good look at them as I was getting into the Idol world, despite being around since 2005 (the same time when AKB48 was formed and debuted). These girls have really made a name for themselves now, and it's great to see that they are all doing so well in their activities and getting more recognition! AKB48's Takahashi Minami will (finally) be making her solo debut! I've often wondered just why TakaMina was never a soloist in AKB48, and whilst I admittedly don't know what she sound likes, I am sure that she sounds better than Sasshi and Mayu put together. Anyway, it seems that prayers have been answered, and many wota tears will be shed, because hark! She will become a soloist! FINALLY!!! The fact that this was apparently one of TakaMina's dreams also makes this sweeter, and a lot more overwhelming, for a casual fan like me. I'm really happy that she is getting this chance, and I hope that her songs are interesting, because I would love to take an interest in her solo debut and whatever happens afterwards. Anyway, good luck to a happy debut! Hopefully her songs won't bore me as much as Tomomi's do. Miyamato Karin and Tanabe Nanami have been added to the cast of Sugar Spot. If people remember, Sugar Spot is a stage play which both Yajima Maimi and Tokunaga Chinami will be appearing in, so to hear news that two Kenshuusei members will also be starring in it is wonderful! Karin has a lot of experience in acting thanks to stage plays, so many fans will be happy to know that she is continuing with her usual activities and getting her name out there even more. As for Nanami, I don't know if she has been in many stage plays, but they are a great way to gain more experience as well as to promote yourself and gain a few more fans! Stage plays, I think, are great for Kenshuusei, as it means that the girls will learn more and also they will have the opportunity to talk to their senpai's and gain experience. Also, as I said beforehand, it gets their name out there and will give them more opportunities and possibly even help the girls in making a debut. Morning Musume and some of the OG members made an appearence on 24 Hour Television, and sang a medley together made up of the songs Love Machine, Happy Summer Wedding and Dekkai Uchuu ni Ai ga Aru. Ishida Ayumi and Kudo Haryka were absent from this performance due to injuries. Ikuta Erina and Sayashi Riho have appeared on an episode of J-Melo and learn about the Yosakoi Festival and the dance that people do during the festival. This is a cute video, and really shows how much Morning Musume members interact with society as Idols, helping fans of Japan learn more about Japan's culture and what different prefectures do for their home town's. The video was really interesting to watch, and I like how well Riho and Eripn interact with each other as a duo. The girls really looked like they were having fun, and the dancing they did looked really fun. Michishige Sayumi and Tanaka Reina appeared on Exile Tamashii where they talked about certain songs from the group as well as performed Reinai Revolution 21 with the group E-girls. In my opinion, Sayu has really improved in her singing! She sounds great in this live, and I loved that both Sayu and Reina were able to perform such a popular Morning Musume song together on a show, with E-girls backing them up. Whilst I don't much about E-girls, and don't even follow them, it was great to see their interaction with another girl group!